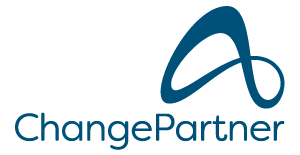 ChangePartner will support you by creating the excellent leadership qualities that secure results! in Leadership and Talent Development, major change projects, turnarounds and the establishment of goal-oriented, strategic Human Resource functions. There may be many reasons that coaching is needed. Typically, there are just as many reasons as there are people. Do you have the sense that your HR section is not regarded as a value-creating business partner? If so, an HR strategy is the solution. Companies can achieve their objectives by strengthening the development of the individual and placing the most skilled players in the most business-critical positions. A company needs strong, independent leaders, but strong teams are even more essential if the company is to thrive. Using tests and dialogue, I analyse the potential of selected candidates. The objective is to determine whether they are suitable for a given position within the company. Christine’s coaching has improved my work performance. I now focus on moving forwards the project teams I work with in a much more positive way. I have learnt to become more patient and efficient. I have discovered my strengths and use those to make a big difference. Thank you Christine for your coaching and guidance”.